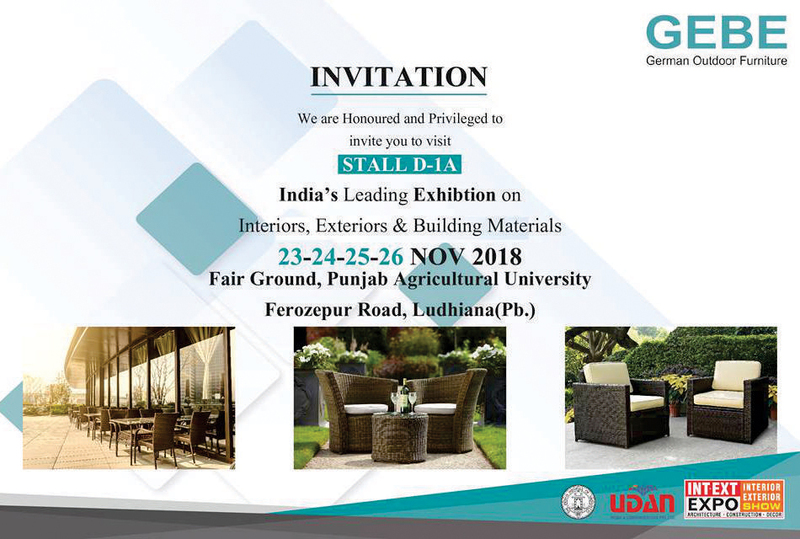 GEBE Honoured and privileged to Invite you to visit india's Leading Exhibition on Interior,Exterior & Building Material Expo at Fair Ground, P.A.U, Ludhiana Punjab. From 23 To 26 Nov 2018. To Explore the Experience of the outdoor living. For more information contact us on – 8872050715.